WELCOME TO OUR MARCH BREAK CAMPS PAGE! Please review the options below. Click on the button below to learn more about your March Break Camp options and to REGISTER TODAY! 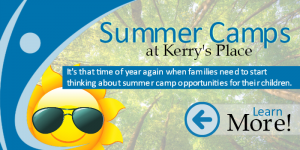 Kerry’s Place is excited to offer a variety of Day Camp options for the Summer of 2019 for children and youth residing in Central Region.